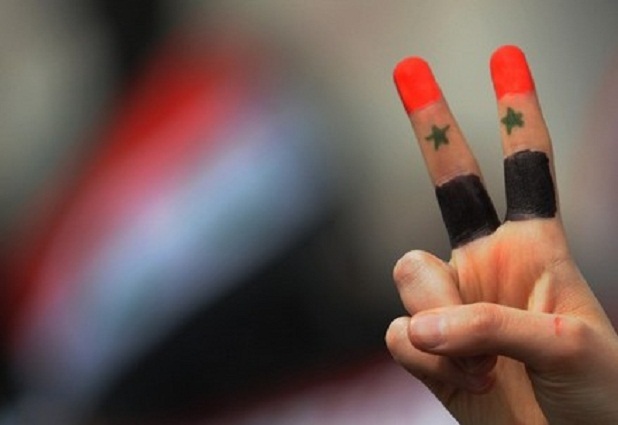 Are the levers of power in Syria slowly drifting away from the Baath party? Is the regime being questioned in its entirety, or is this solely about Assad’s faltering leadership? One thing is certain: the growing momentum of Syria’s recent mass protests have begun to put immense pressure on Assad and his government to either step down, or engage in meaningful dialogue with the opposition. It is a secret to nobody that the Assad family has long reined over Syria with an iron fist. Despite being a popular figure, it seems Assad Jr. has heavily relied on his family’s previous support networks to expand his own powers. These primarily include the Baath party’s higher echelons, as well as the powerful intelligence service. There is also the matter of the country’s religious minorities who, the received wisdom goes, have felt protected as long as the Assad family, from the Alawi minority themselves, remain in power. In light of the brutal repression currently taking place, the uprising continues to gain momentum, and has now spread from the towns of Deraa, Lattekia and Aleppo. Predictably enough, the regime has hinted at a possible Muslim Brotherhood involvement in feeding the unrest, but the diverse multi-faith backdrop of Syrian society, and the slogans chanted by the protesters tell us otherwise. The repression has thus far included firing live rounds indiscriminately at peaceful demonstrators, extra-judicial kidnappings, and the arbitrary arrest of intellectuals, journalists and politicians who have spoken out against the regime. One army unit headed by the president’s own brother, Maher, entered the town of Deraa to “restore calm and order” with its tanks supposedly being ordered to shell demonstrators back into their homes and ensure that the insurrection was a thing of the past. In typical Arab Spring fashion, as the repression gained in intensity, so too did the sheer numbers of the demonstrators. An important variable in the evolution of current events is the mounting mobilization of university student associations, a significant demographic. In this sense, the similarities with the riots and ensuing revolutions in Tunisia/Egypt is striking. Though the anger in Deraa began solely as an expression of local grievances, the demands have swelled to new levels: for a new leadership, transparency, democratic institutions and a separation of powers. One should highlight that Bachar Al Assad did initially enjoy substantial popular support upon succeeding his father. Having visited the country myself, I was able to witness first-hand the extent to which Syrians believed in their new president’s capacity to bring about change to a dilapidated political system. The repression of these protests has revealed a man who is either as cynical as his deposed “colleagues” in Tunisia and Egypt, or a hostage to his father’s legacy and regime. His recent public statements may have been conciliatory, demonstrating, through their clarity, the man’s willingness to engage in reform and meet the youth’s expectations. However, as with Egypt, Syrians seem unimpressed by Bashar Al-Assad’s offers to lift the country’s long-standing state of emergency, dismissing his cabinet and bringing in opposition figures. Indeed, naysayers might be right. Recent revolutions throughout the region tell us: these are moves which will certainly be perceived as appeasing gestures rather than genuine reformist stirrings. The geopolitical implications of all-out regime change in Syria are daunting to experts in the region, who fear a probable destabilization of the fertile crescent’s fragile status-quo. Caught between Turkey, Israel, Lebanon, Jordan and Iraq, Syria has always played the important and complex role of regional shock absorber. Any important changes in the Syrian political landscape could antagonize regional actors, including Iran who has long supported the Assad regime. One must certainly be wary of possible attempts by regional powers – tempted to toy with Syria’s complex and delicate sectarian balance – to affect the outcome of the current crisis in their favor. If Bashar Al Assad hopes to survive politically and regain the popularity he once enjoyed, he will undoubtedly need to distance himself from his father’s questionable allies. This explicitly means reigning in the Mukhabarat’s (intelligence services) chokehold over the rest of society and ensuring that the omnipresent Iranian influence over Syria’s top brass is significantly diminished. I agree with you when you said that Syria played a shok absorber in the region and because of that and its influence in lebanon ,Palestain and its strong ties with Iran that is now more targeted. Syria like other countries in the region needs reforms and changes in order to meet the legitimate aspirations of its people . political landscape in Syria like other Arab countries is complex consenquently profound reforms will need a strong political will and time to move forward in peace without violence and loss of lives. many Arab people were proud and hopeful after the revolutions in tunisia and Egypt however the chaos, the insecurity, and instability that followed ,the troubles faced by other countries and the way the Media are handling the situation are raising now many questions. It seems that the arab spring is not over. But, what is astonishing and without link to the foreign complot thesis, the simultaneity of all the these popular uprisings after Tunisia and Egypt has to be analyzed and examined. May be, History, sooner or later, or an updated Wikileaks arab version cables will reveal what is going on in the region. In the case of Syria, while the demands of syrian people, in terms of reforms and freedom, are legitimate, I am a little bitte afraid that the libyan scenario is repeating itself. For almost similar situation in the gulf region, the reaction is completelty different which demonstrates double standard. Condamnation in first case, silence in the second.